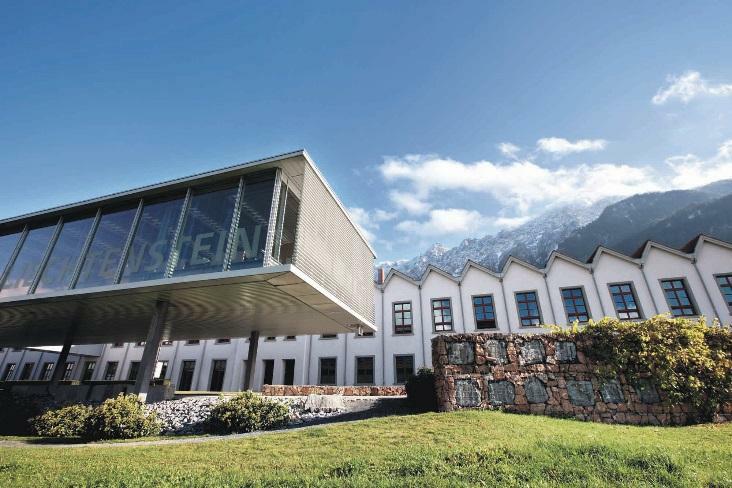 The University of Liechtenstein is young, regionally anchored and internationally active. Focusing on the fields of Architecture and Planning, Entrepreneurship, Financial Services and Information Systems, it serves as an innovative hub of ideas at the crossroads where Liechtenstein, Eastern Switzerland, Austria’s Vorarlberg and Germany’s Lake Constance meet, delivering significant impulses for business, politics and society through a broad range of projects and programmes. For over 50 years, sought-after professionals have been trained and educated here, studying in a very personal environment. Amongst the students at the Institute of Information Systems the ratio of male:female students is approximately 2:1. There are approximately 30 students enrolled in the MSc in Information Systems, about 30 students in the BSc Business Administration with focus on Information Technology and 9 students at PhD level. There are 36% of female students in the undergraduate programme and 33% in the graduate programme. At the doctoral level the ratio is even more balanced, with 44% of doctoral students being female. At the Institute of Information Systems the administration ratio is 75% female, 25% male (3 staff members in total). As for the faculty members, only 14% of academic employees (1 out of 7), and no professors (at all levels, including Junior Professors, Full Professors, and Senior Professors, 0 out of 7) are female. Despite specifically encouraging women to apply, the number of female applicants is constantly lower than the number of male applicants when searching for academic employees.